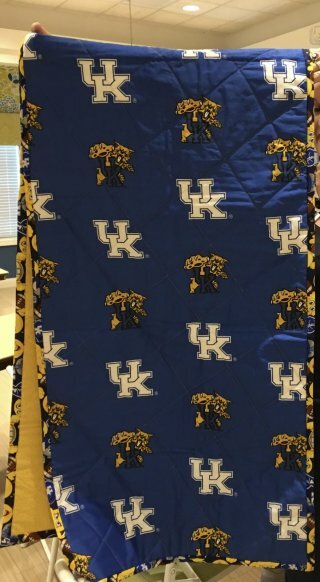 $50 deposit by February 13. 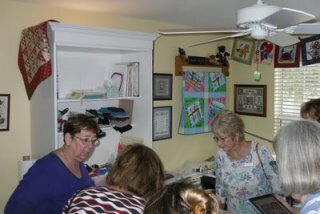 April through business meeting in October. 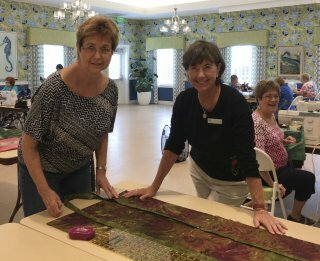 Kona Color of the year - will run from August to beginning of December. 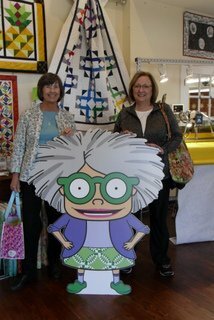 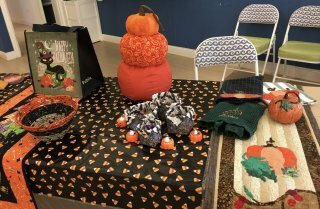 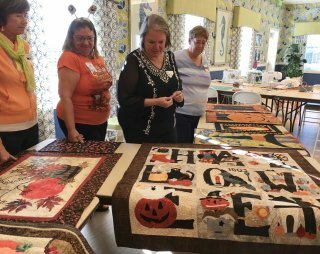 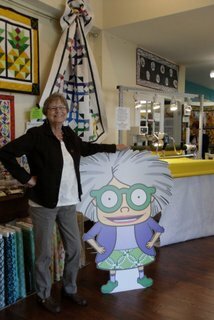 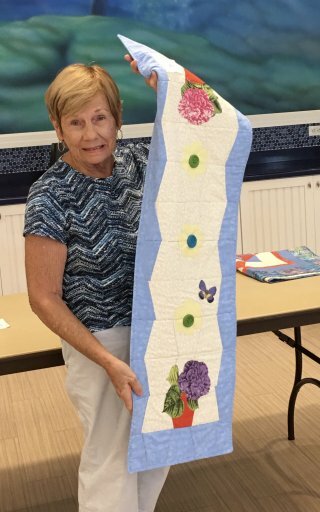 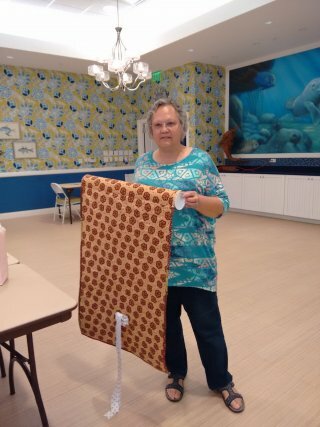 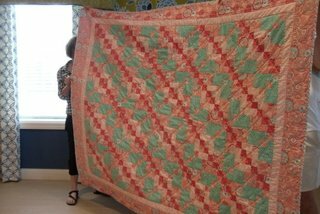 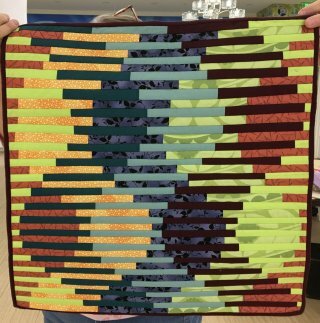 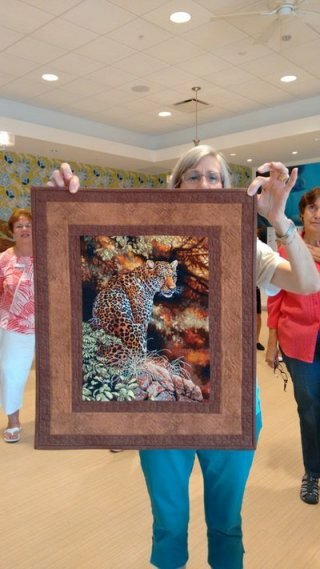 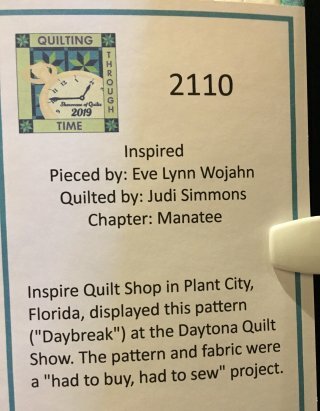 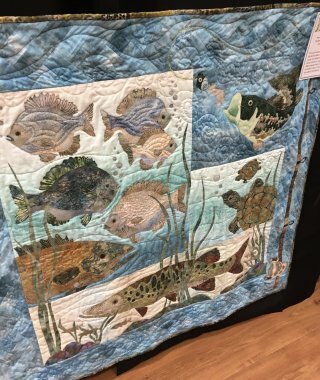 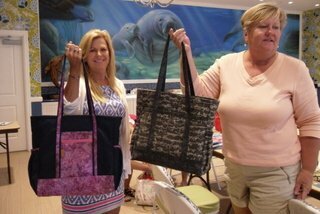 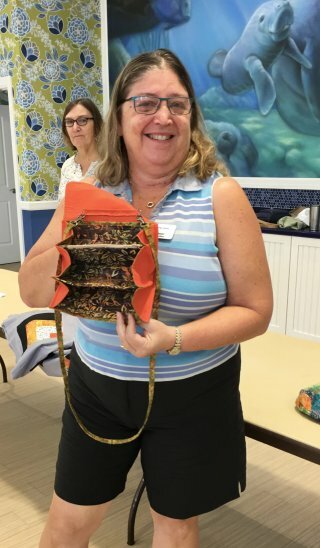 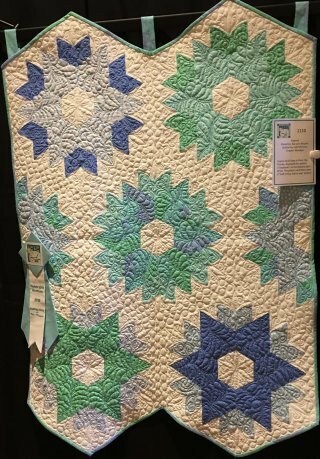 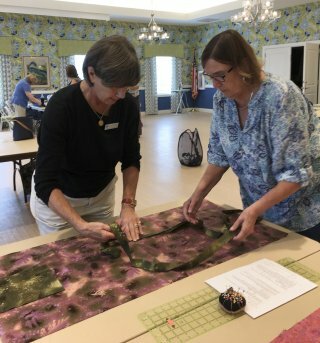 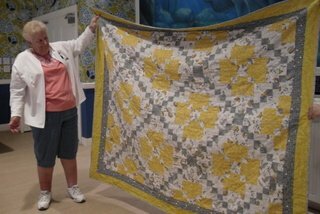 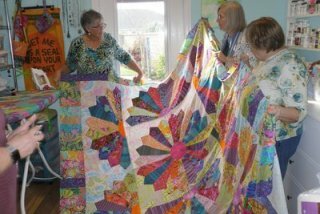 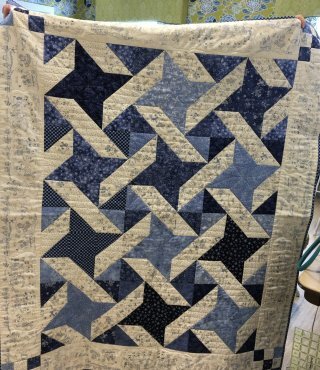 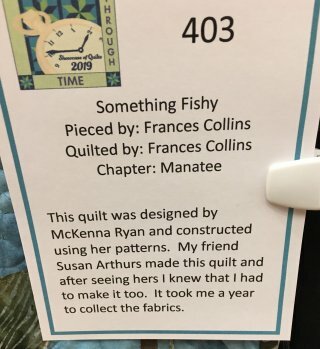 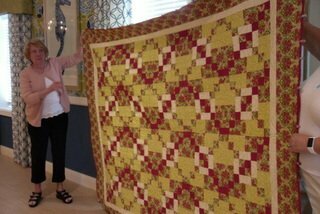 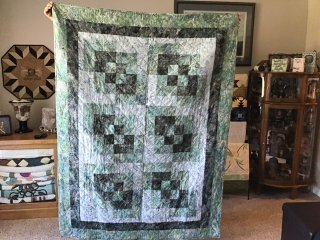 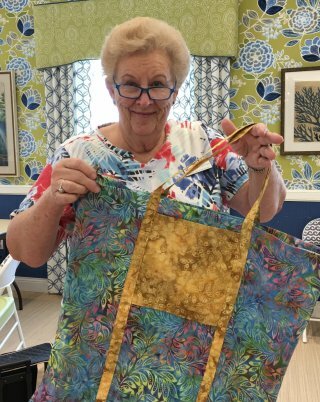 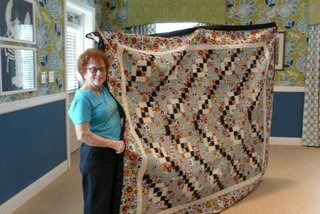 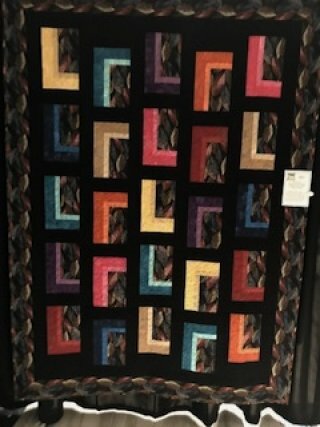 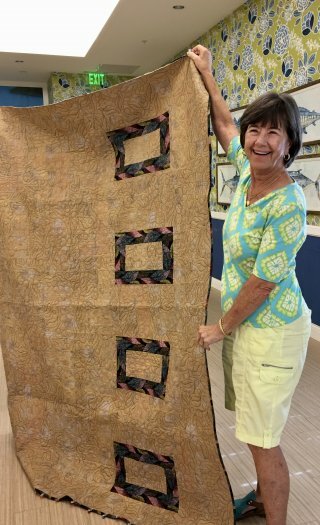 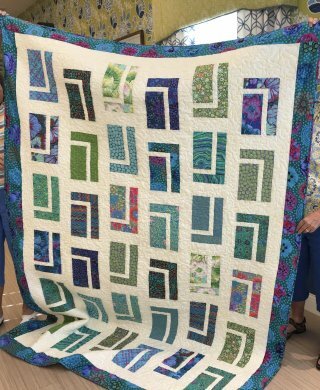 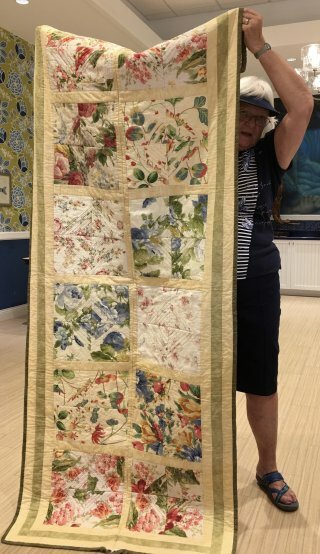 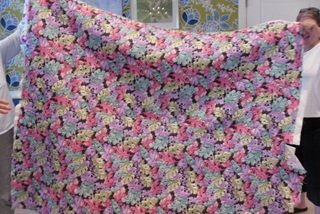 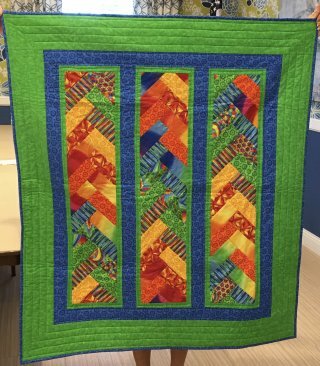 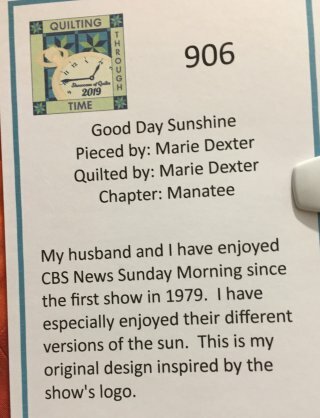 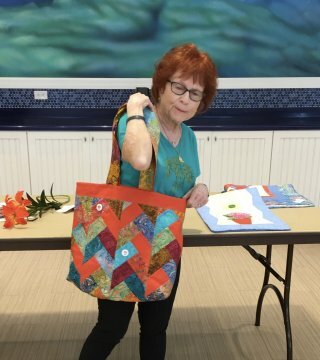 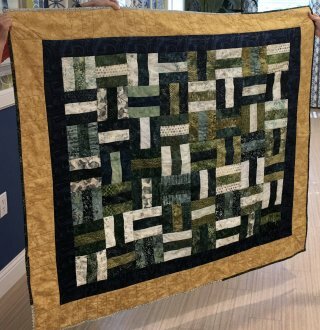 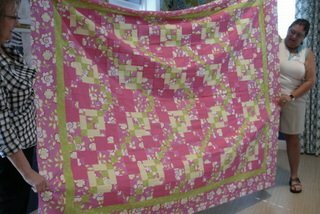 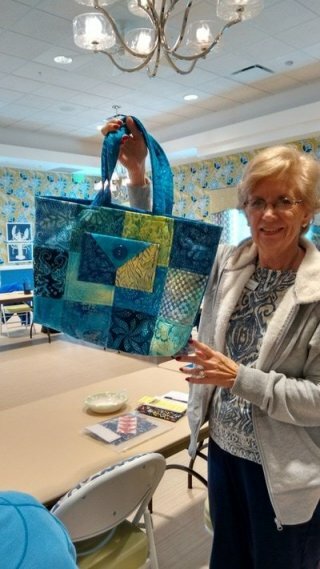 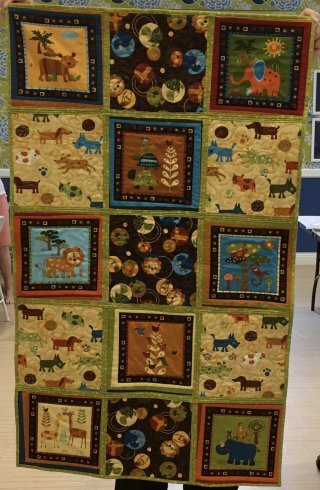 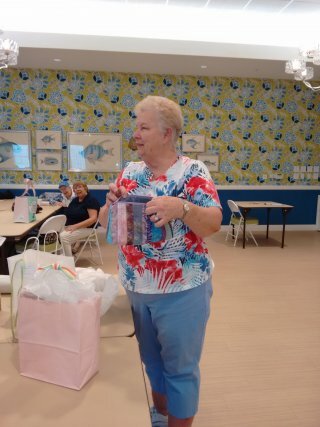 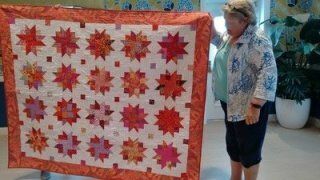 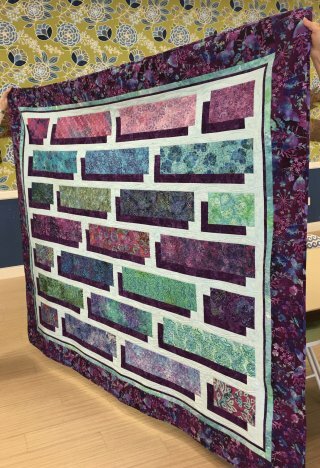 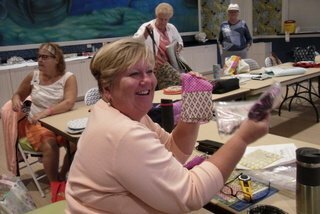 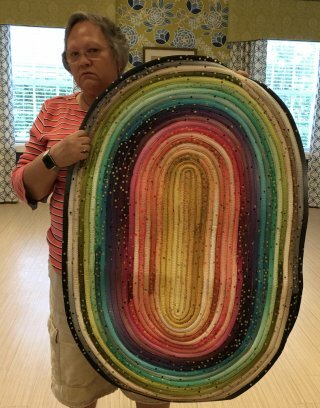 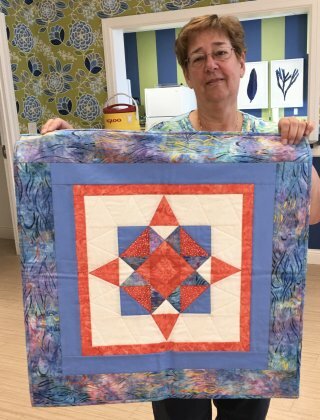 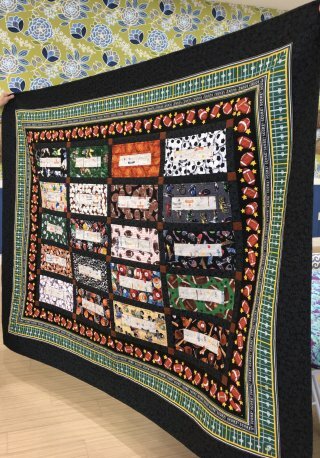 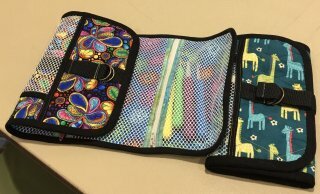 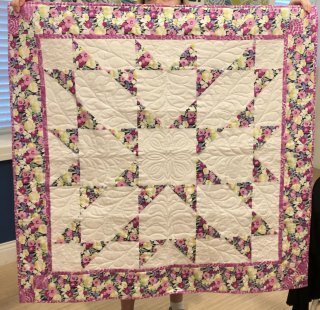 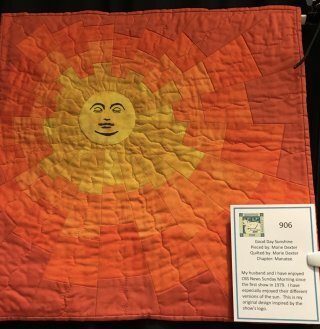 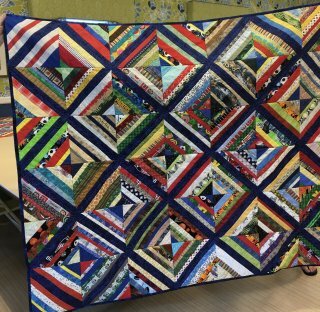 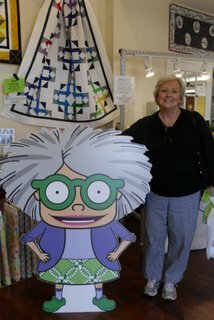 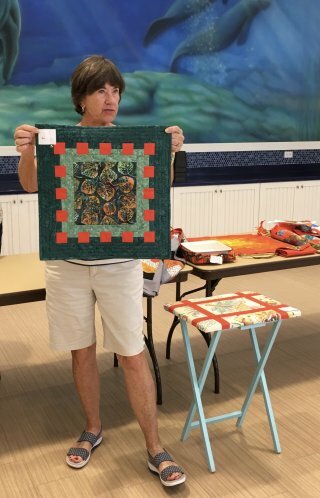 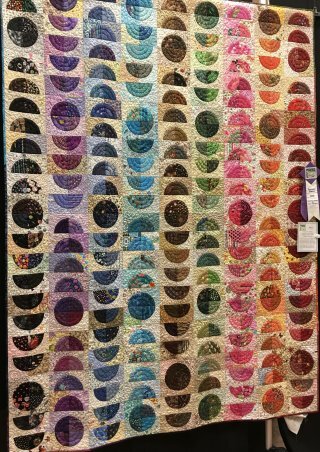 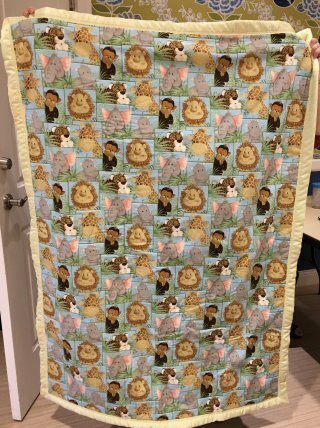 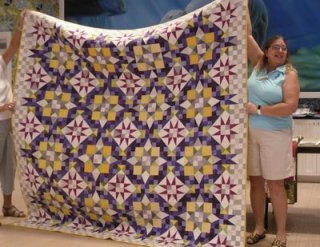 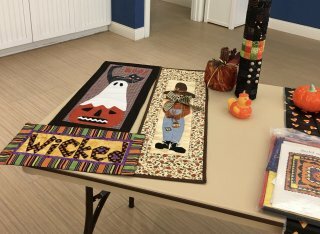 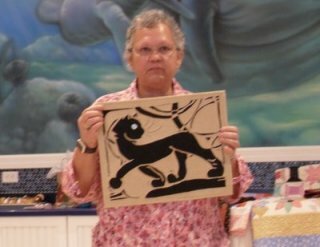 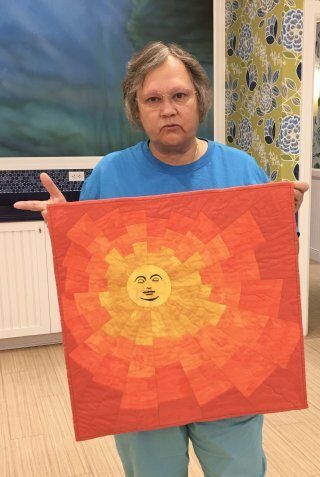 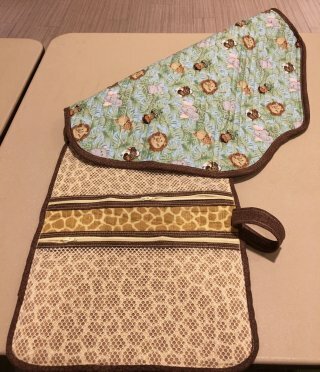 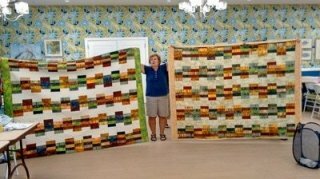 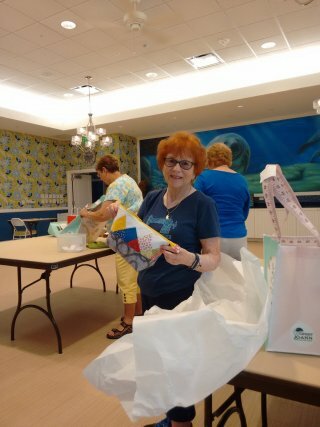 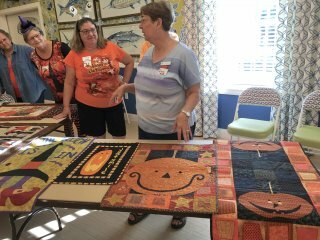 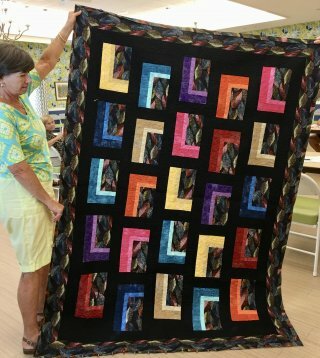 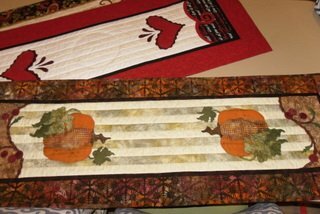 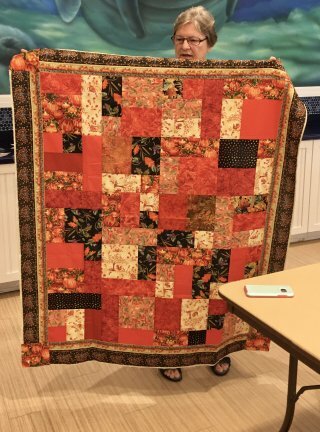 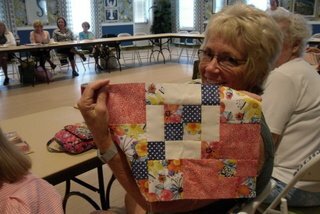 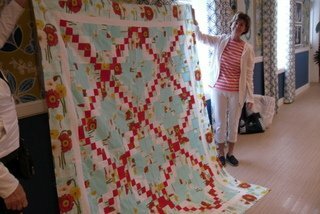 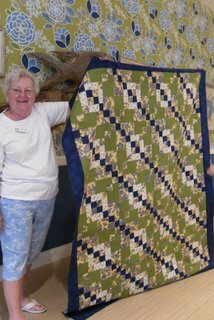 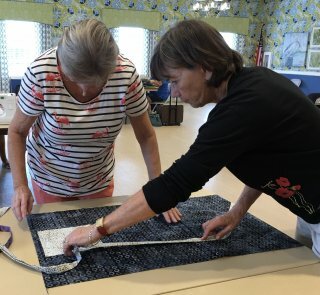 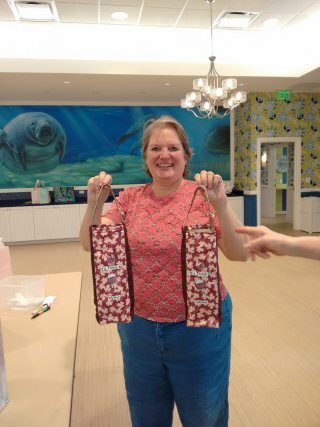 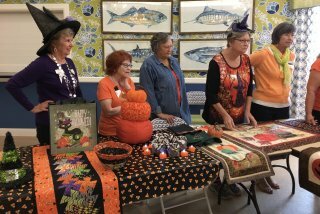 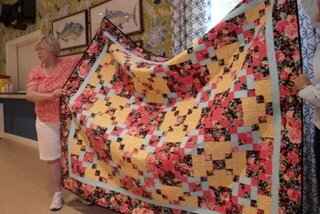 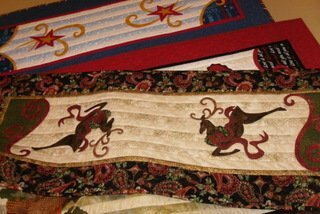 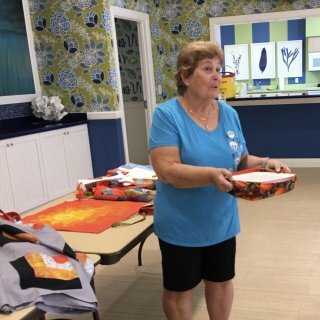 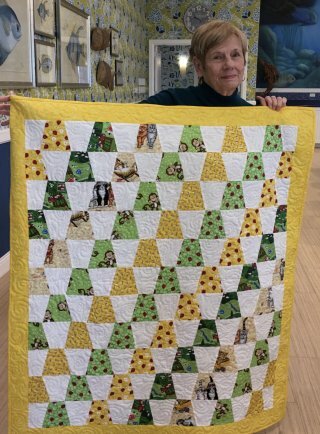 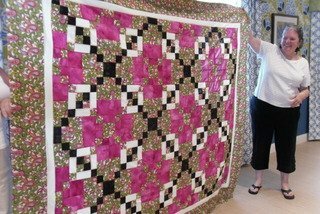 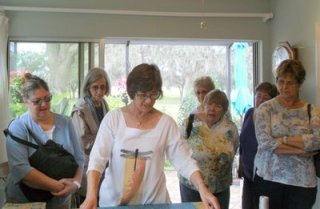 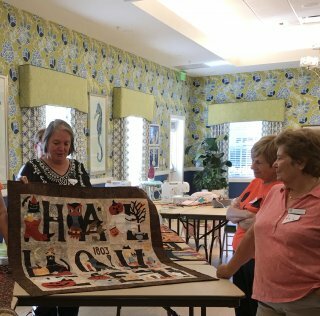 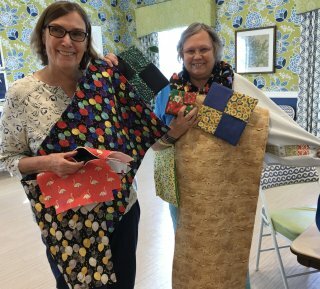 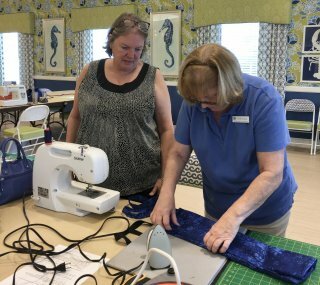 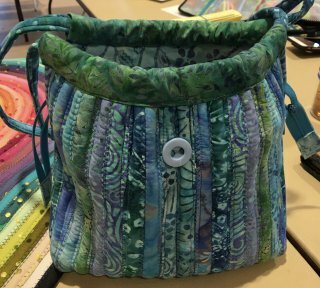 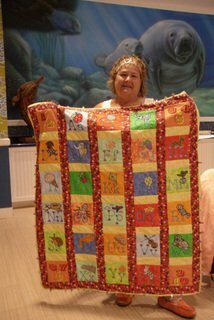 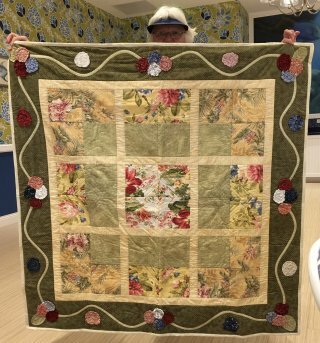 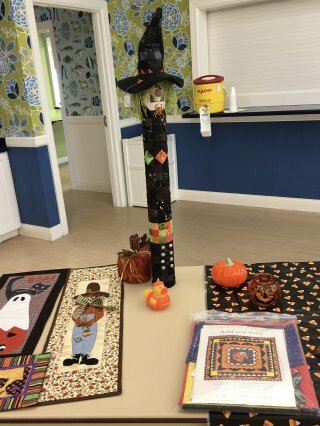 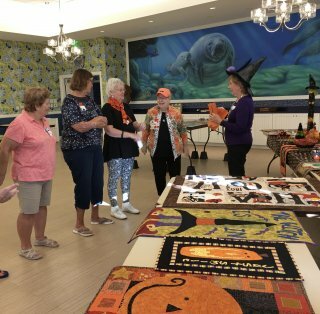 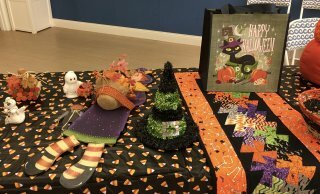 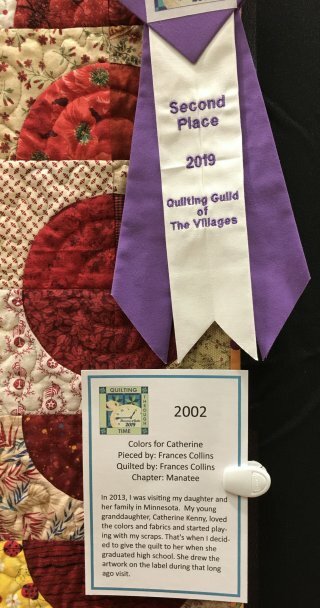 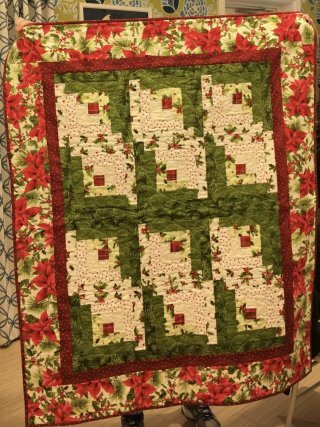 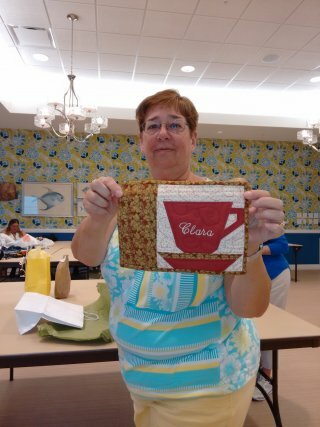 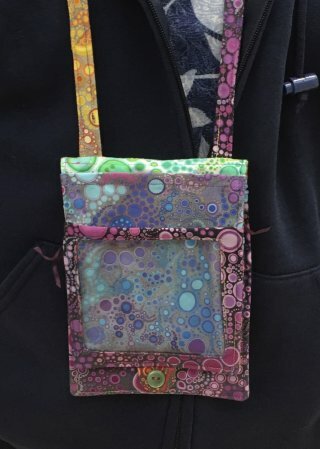 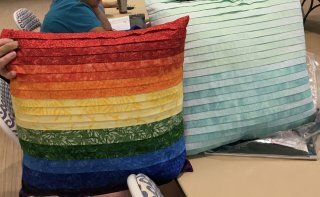 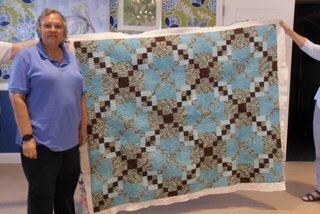 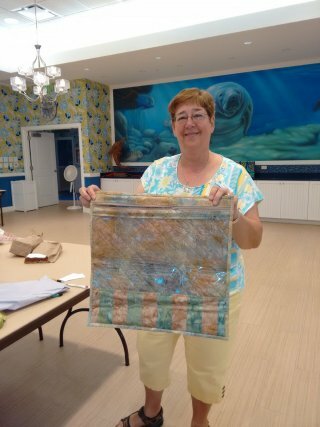 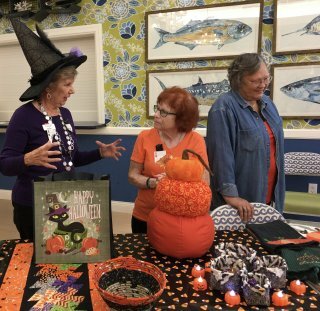 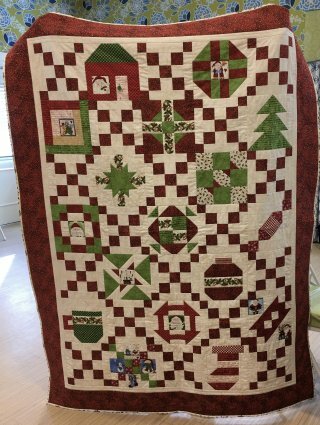 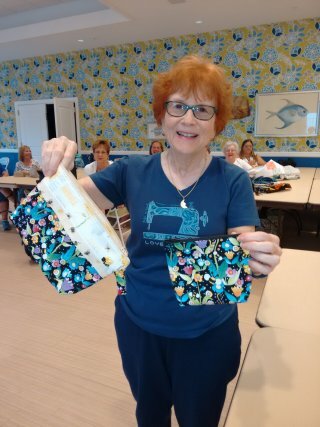 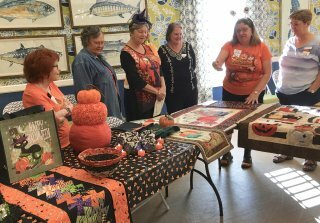 Carole Bonanno provided quilters with "clues" (cutting, piecing) every several weeks. 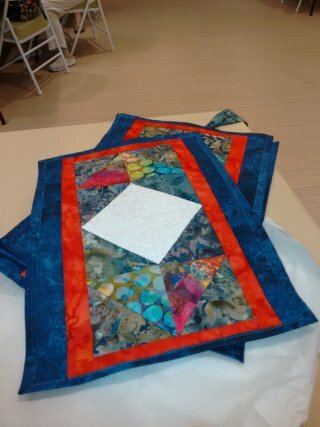 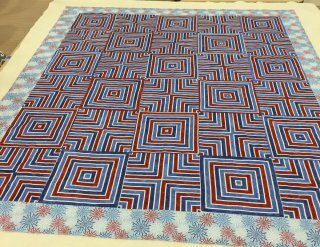 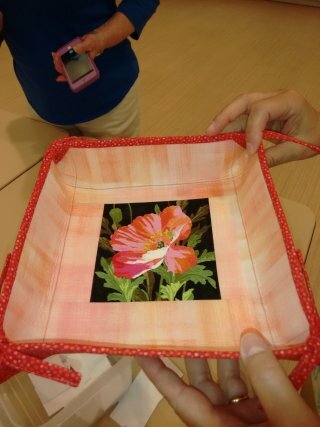 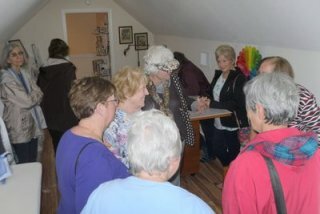 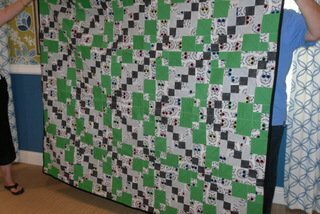 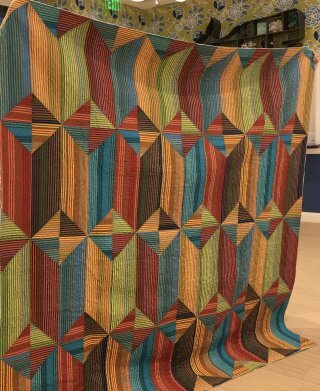 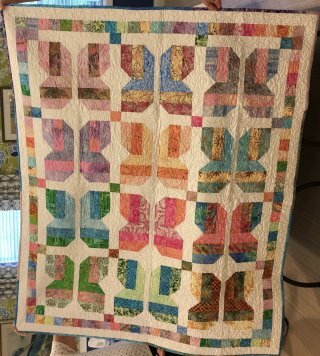 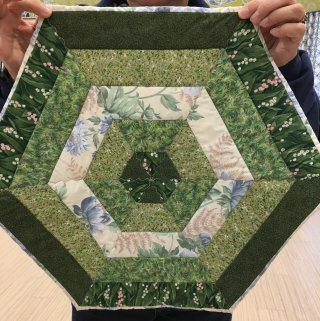 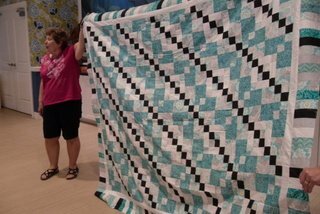 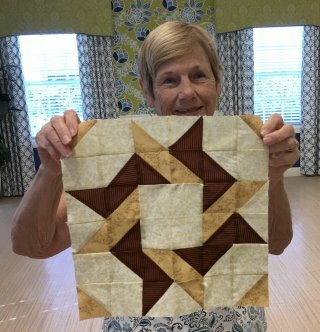 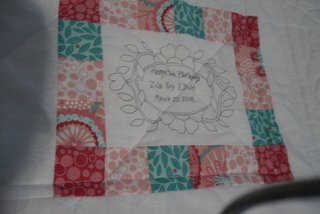 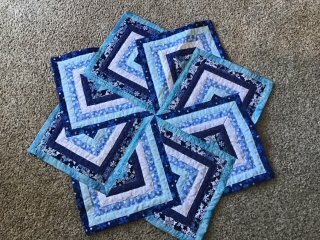 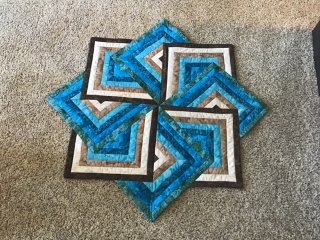 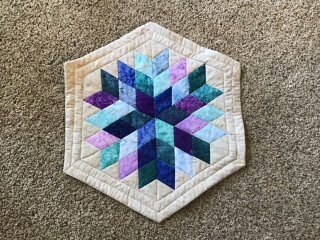 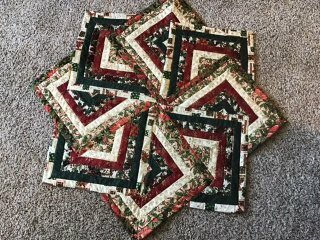 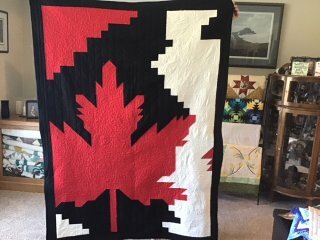 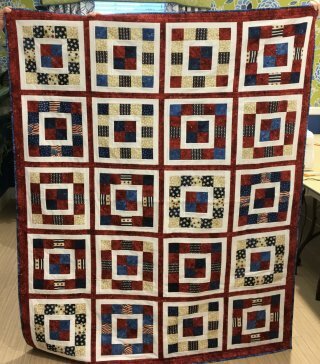 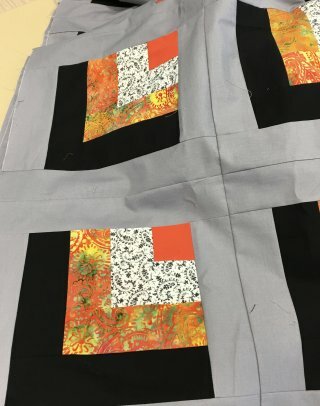 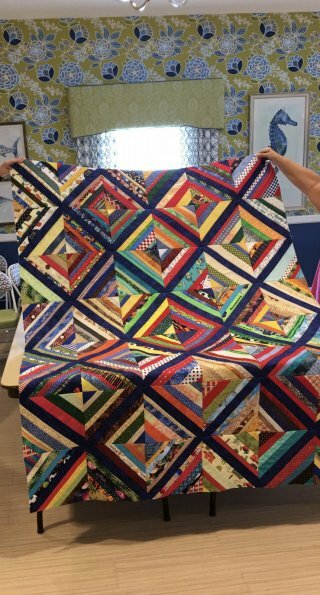 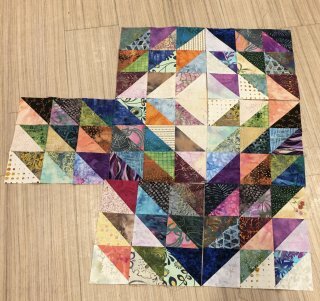 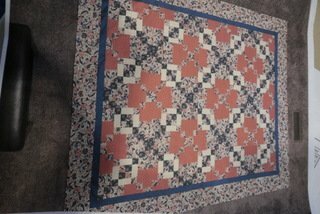 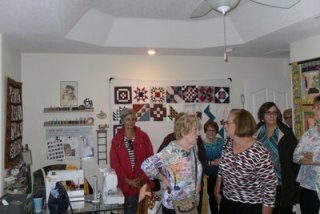 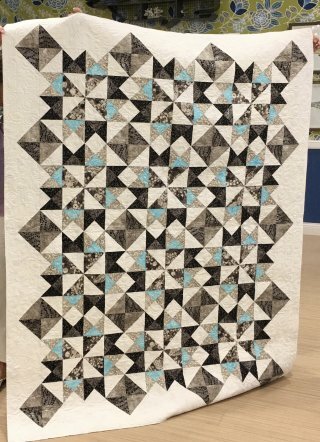 We didn't know the "look" until all blocks were completed and quilters laid them out. 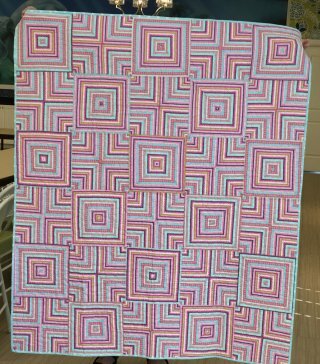 Notice the difference in the patterns according to how the blocks were arranged.